The bite has been hot coming out of spring. Look for things to stay hot all summer. The redfish bite has been strong all spring. 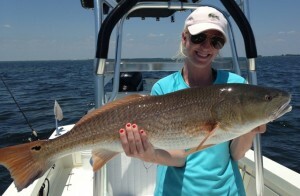 We will continue fishing redfish most of the summer. We are fishing light tackle spinning gear with live and cut bait, with great success. We mainly have been getting overslot fish, ranging 10lbs up to 15lbs with a few keepers mixed in. Fishing the grass flats, ranging in depths of 2′-3′, have been productive. A grass flat with good tidal flow and what we like to call a “alive”, are good characteristics for holding redfish. The snook bite has slowed down a little for me but should start to pick up. Snook spawn season starts this month and fish will schooled up eating heavily to prepare for spawn. We will be fishing around our area beaches, passes and bridges for snook. Good tidal flow is a most for catching good snook. Live bait has been the key to getting snook to eat. Light tackle spinning gear is the setup. Fish range from 25″ up to 35″ with some bigger 40″ available. It is catch and release only and we are sure to handle each fish with extreme care. Take a quick picture and release unharmed. The trout fishing has been consistent. Fishing the grass flats has produced some nice fish. As temperatures on the flats get to hot, look for the bigger fish to move deep. Trout are ranging 17″-20″ with some bigger one mixed in. We can stay on a consistent bite all summer.